One of the most common problems that clients experience is pain located around the head, face, or jaw regions. Muscle tension – whether from trauma, postural overload, or repetitive movements – is frequently one of the key contributing factors to headaches and discomfort in related areas. 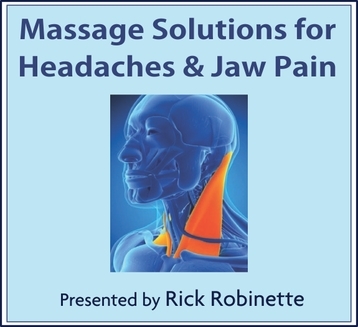 Learn how to safely apply massage therapy techniques that can help ease both the muscular and connective tissue components which are contributing to these painful problems.